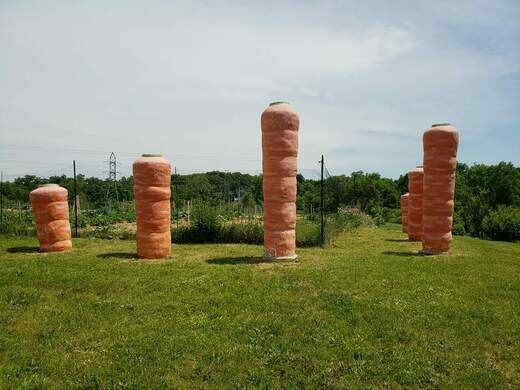 The 10-foot-tall vegetables belong to Michigan’s first food rescue program. 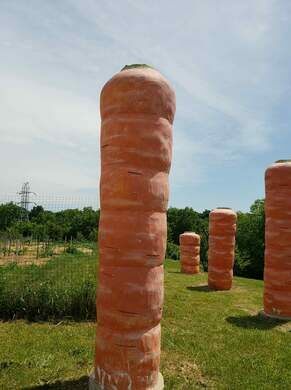 These enormous carrots look like they could be some sort of vegetable-themed stone circle, or perhaps a beacon for an oversized rabbit. They’re a strange sight to see, though they look perfectly at home on Carrot Way. The carrots—some which stand 10-feet-tall—aren’t actually food for some giant bunny. 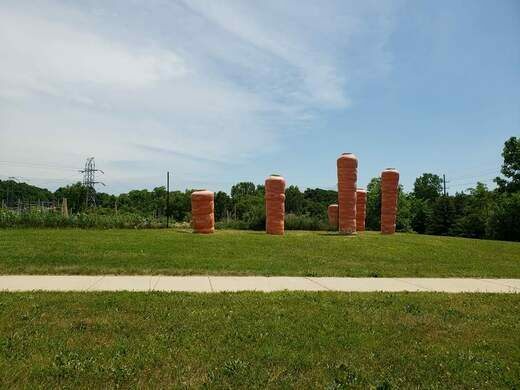 The sculptures stand outside the warehouse used by Food Gatherers, a food bank and food rescue organization. Food Gatherers was Michigan’s first food rescue program and was founded by Zingerman’s Delicatessen in 1988. The organization rounds up perfectly good food from restaurants, food retailers, and food wholesalers that would otherwise go to waste. The food then goes to low-income adults and children who may not otherwise have access to nutritious meals or snacks. Food Gatherers also runs a food bank, serves food to those in need at its community kitchen, and works with local farmers. The carrot is the organization’s symbol. It’s their logo, and appears on its trucks, in its interior decorations, and of course, outside their warehouse. 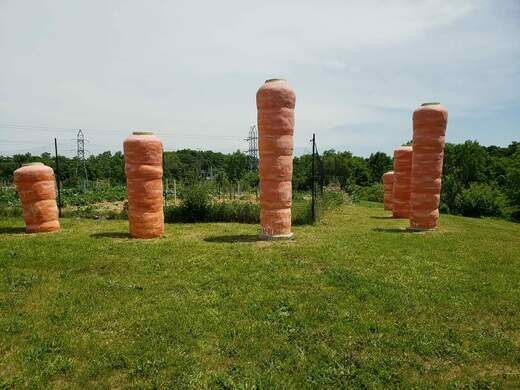 Food Gatherers chose the carrot because of its nutritious values and deep roots, which symbolize the deep roots the organization has within the community. You should be able to park to the side of the driveway, just be sure not to block any incoming/outgoing cars. Want to get involved with Food Gatherers? See their website for information on how to volunteer or donate. A giant doughnut was gifted to the small New Zealand town of Springfield to promote "The Simpsons Movie." Drive past the giant fruit sculptures and up to the window for a menu of fruity treats.